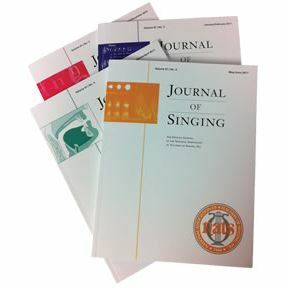 The Journal of Singing, Volume 70, will begin distribution with the September-October issue and will be followed by printings in November-December 2013, January-February 2014, March-April 2014 and May-June 2014. The Journal of Singing is the only nationally distributed magazine devoted exclusively to the art of singing, vocal function, vocal literature, care of the professional voice and the teaching of singing. It reaches more than 7,000 NATS members, along with numerous libraries and students. NATS is offering a 25 percent discount for all Volume 70 advertisement orders placed and prepaid before June 1. Learn more about advertising in Journal of Singing or other NATS vehicles by viewing the 2013-14 NATS Media Kit.